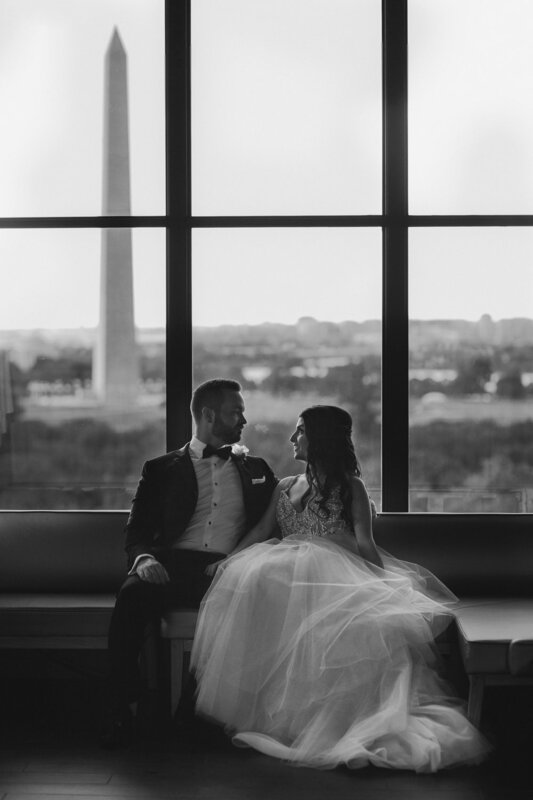 Bride Sarah and Groom Louis say 'I Do' at The W Hotel in downtown DC. The ceremony was early in the evening just after a summer storm which made the candles and flower petals that lined the aisle all the more romantic. The bride wore a gorgeous gown by designer Hayley Paige and groom Louis was in a very sharp black tux by Alfa Men's Clothing. The florals were a soft palette of neutrals with gorgeous textural greenery. We loved creating the dramatic floral arch which served as the altar during the ceremony then an amazing backdrop behind the bride and groom's Kings table. It was a night of celebration, lots of laughter, dancing and LOVE! Congrats to this fabulous couple! Rimas Films | Glam To Go | DJ Chris Laich | Wedding Paper Divas | Atmosphere Inc. | Hot Ice Inc. Under The Tucson Sun (& MOON) Mike and Mollie say I do!